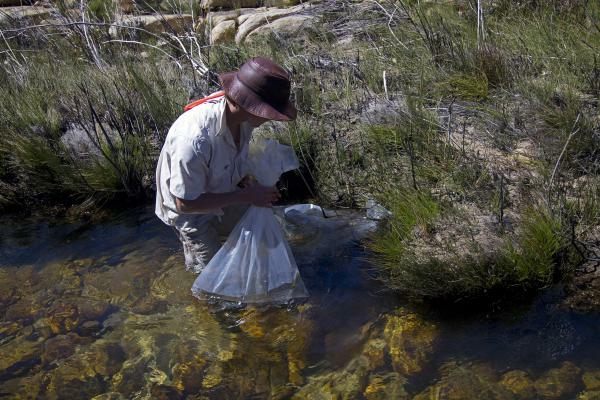 FOSAF NEWS - Trout translocation project in the Western Cape by FOSAF and the CPS. The reason for this is primarily habitat degradation, dam construction and water abstraction for agricultural use. 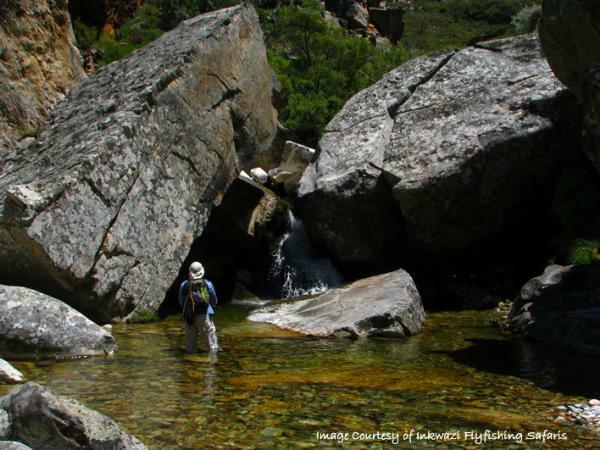 One of the few remaining pristine trout streams is the Jan du Du Toit’s River which rises in the Waaihoek area of the Greater Hex River range of mountains. Unfortunately the condition of rainbow trout in this stream is now considered poor due to the increasing incidence of deformities. This is no doubt the result of a genetic bottleneck in the population caused by the limited number of fingerlings in the original stocking of the 1960’s and the fact that the steep incline and numerous waterfalls in the system has limited the upstream migration of fish leaving relatively isolated pockets of trout throughout the river. On October 6 to 9, 2013 after receiving permits from CapeNature the FOSAF/CPS team comprising Dr Leonard Flemming, Ryan Weaver and Philip Hills caught 47 rainbows in the Krom of which 2 were killed for the disease study and another 4 died during transport leaving 41 which were delivered to the Molapong hatchery in Du Toit’s Kloof. These fish will be held in a separate facility at Fizantakraal and if all goes according to plan eyed ova from these fish will be introduced into the Jan du Toit’s over a number years commencing in 2014. It is surmised that crossing these two unrelated populations, even if both are inbred, should restore the Jan Du Toit’s rainbow population to health after a few years. 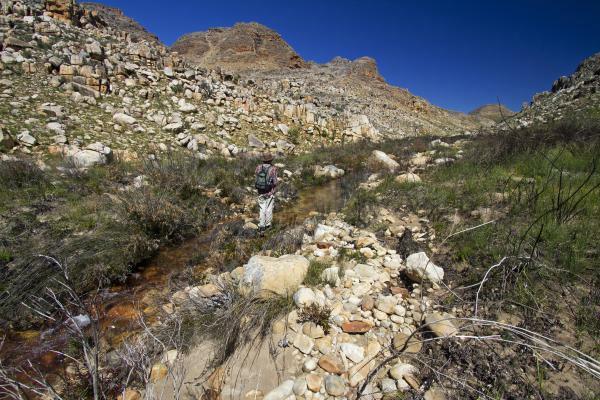 For the complete proposal submitted to CapeNature by FOSAF/CPS use the link http://www.fosaf.co.za/documents/Krom-River-translocation-31-Oct-2013.pdf.